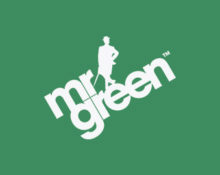 Mr. Green – January Missions! Complete missions for big rewards! Awesome times currently at Mr. Green as they are launching promotion after promotion, all with huge cash prizes and tons of Free Spins. Last week we had Netent, Play’n GO and Quickspin competitions with a combined £16,000 in prize pools and this week IGT has joined the party with a massive £20,000 in cash prizes up for grabs. All players have to do to earn their tickets to the prize draw is leveling-up on the selected games. But that’s not all, Yggdrasil, well-known for their mission tournaments, is launching another network wide promotion with cash prizes and Free Spins going to the TOP200 scorers. The games for this week are Vikings Go Wild, Big Blox and the mighty Incinerator. Not to be missed! The LEVEL-UP promotion is all about collecting tickets to the £20,000 Prize Draw on 30th January 2017. 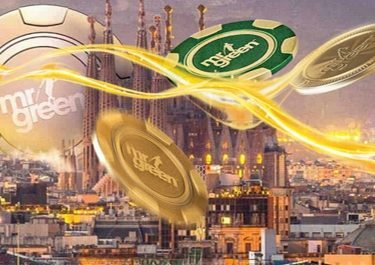 They are earned by unlocking in-game levels on three awesome slots from IGT, namely Cleopatra Plus, Wheel of Fortune on Tour and Nordic Heroes which all have the ‘Level Up Plus’ feature with up to 8 in-game levels. No minimum bet is required but only cash play qualifies. The amount of tickets increases with each unlocked level from one ticket for Level 1 to a whopping 24 tickets for Level 8. In total players can collect 81 tickets per game, making it a massive 243 entries to the prize draw if all levels are unlocked on the three games. 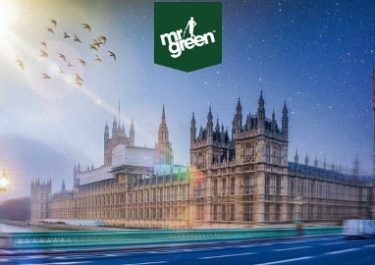 On 30th January 2017 Mr. Green will randomly draw 1,445 winning tickets each getting a share of the prize pool. A player can win more than one prize as the draw is based per ticket, not per player. All prizes are cash, no wagering requirement and will be credited within 72 hours. Are you a fast spinner? Then this is the right tournament for you. Complete all three missions in the fewest possible spins and be crowned the winner. Want to know how others are doing? All the mission information and a live leader board are displayed in the game client, refreshed every 60 seconds. Not happy with your result? Reset the counter after minimum 25 spins on the game and try again as many times as you like. Missions are reset automatically after all three are completed. The best result will be kept while players can try to improve their position up until the end of the tournament. Cash prizes are wager free while winnings from the Free Spins carry a 35x wagering requirement within 7 days. All prizes are credited within 48 hours and are subject to Mr. Green’s Terms and Conditions.